Celtic Legends are set to embark on extensive 15th Anniversary Tour in 2017! 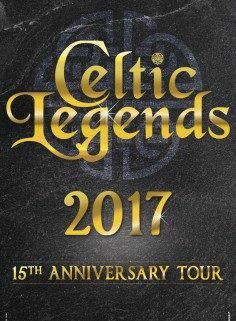 We are honoured to be a part of Celtic Legends planned tour of Europe as part of the shows 15th anniversary celebrations! Having recently performed at a spectacular event in Moscow that included other acts such as Andrea Bocelli & London Royal Philharmonic Orchestra we are delighted to announce the show will tour next year. After the triumphant success of 2015 punctuated by eight sold-out performances at the OLYMPIA PARIS, CELTIC LEGENDS back on the biggest stages of France for its 15th Anniversary with a completely revamped show! Come and meet the new troupe of 20 young dancers will transport you to the wild moors of Connemara. Together on stage, they will tell the story of the people of the Emerald Isle with energy and virtuosity. Two hours of colorful swirls, breathtaking dances choreographed by the talented Jacintha Sharpe on traditional rhythms frantic performed by six musicians (Uillean-pipes, flute, violin, bodhran, guitar, accordion) all under the musical direction of Sean McCarthy. 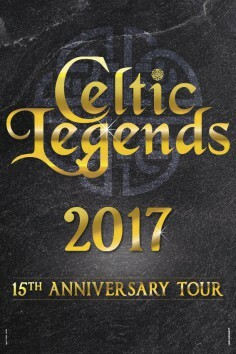 CELTIC LEGENDS 2017 – 15TH ANNIVERSARY TOUR February 11th until April 1st, A NEW FAMILY SHOW LIVE 100% that combines tradition, modernity and creativity!